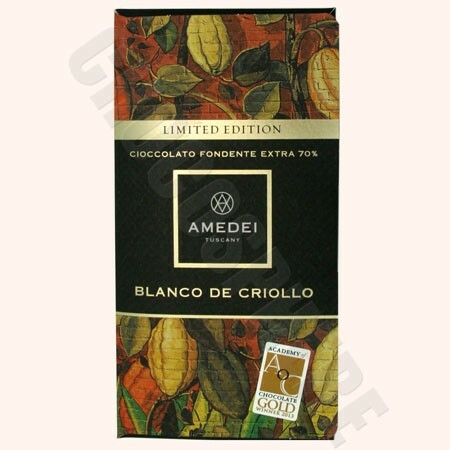 2013 Academy of Chocolate Gold Medal Winner, the Amedei Blanco de Criollo is a 70% dark chocolate, blended with the rarest Peruvian cocoa beans, characterized by a scent of underwood and wild mushrooms, alternated with a hint of dried plum and toasted almonds. It also shows hints of licorice, that extend the aroma. 50g/1.75oz net wt. per bar.